Unrelated to the Instagram and Facebook deal, I do actually play with a lot of other iPhone photo sharing services. Most don’t have huge quantities of people sharing, many have very few features, and everyone has something that makes them unique. 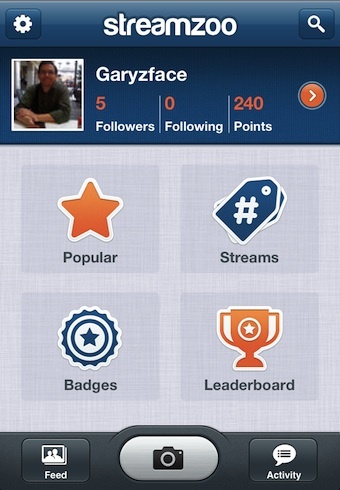 For StreamZoo, it is about a lot of features but no requirement to use them. There are points available for posting pictures, points when people like your photos, points when someone messages you and points when you like other people’s photos. Of course there are people that abuse the gathering of points… let them. 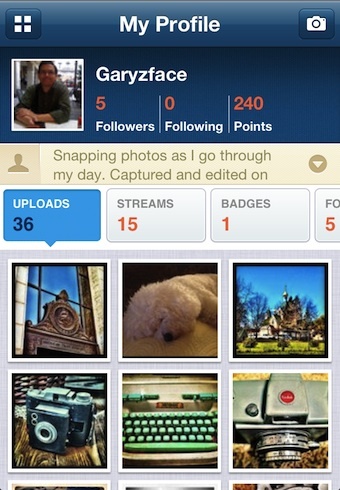 StreamZoo has the usual overview of Popular photos, as well the ability to see Leaderboards for high points fellow StreamZoo users. A nice touch is being able to see streams of photos. Streams = Hashtags on photos. I noticed in the beginning that the majority of the posts where from Android phones, but everyone is playing nice having fun as all photos are posted equal. Taking a photo with StreamZoo or importing from your iPhone’s photo library gives you the option to edit with filters and tuning tools. From your ‘homepage’, you are informed there are new likes or messages via the Activity button turning red. 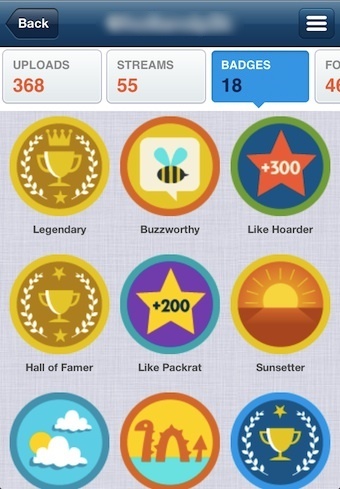 There is badges for all sorts of things… mostly in the area of number of likes for photos you have in different streams. All of the viewing, commenting and messaging that can be done via the iPhone app can also be done via the Web interface. 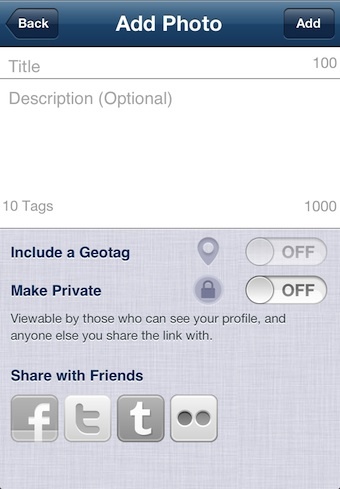 Within the iPhone app, you can see and overview of your uploaded photos, information around your followers, points and quantities of uploads, streams (tags) and badges. While you can follow individuals and the photos they are sharing, StreamZoo is really more about keeping an eye on streams on a subject. Adding a title and description for every photo can be done prior to finishing the upload. Adding tags will allow people to see the photos in Streams. Since you took the time to edit the photo in StreamZoo, you can share directly out to other social sites like Facebook, Twitter and Tumblr directly.